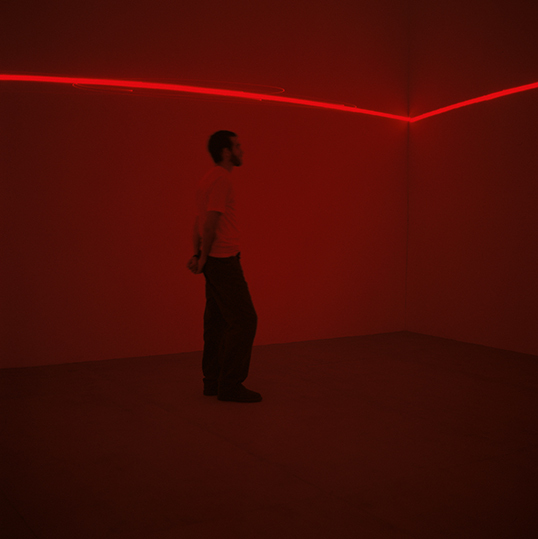 A single horizontal laser line circles the exhibition space and vibrates based on the level of sound produced in that same designated space. 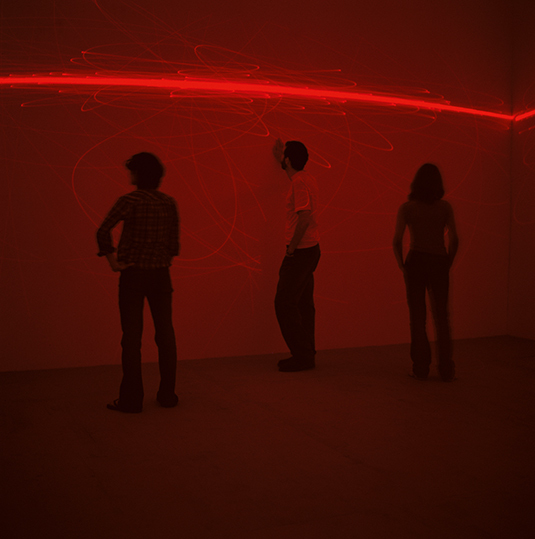 When they enter the installation, viewers are suddenly transformed into participants as the resonant sounds they produce incite visual vibrations on a continuous laser line surrounding the interior. 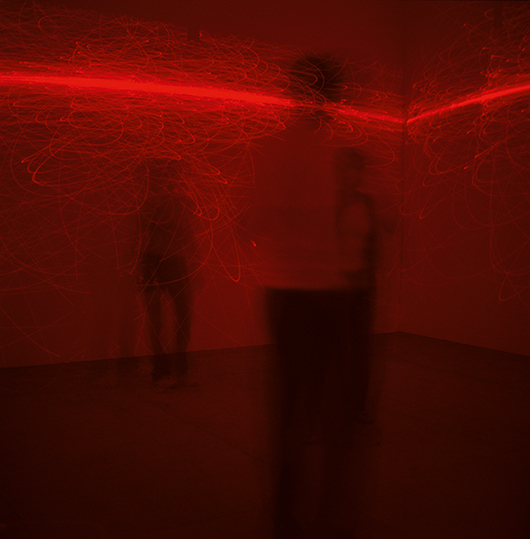 Situated above eye-level, the line is made by four laser projectors synchronized into a single horizontal pattern. As the participants move or speak, the visual pattern of the line is transformed. However, subverting the notion of an “interactive” installation, ar_td_ep is set up so that the dialogic dynamic of “action/reaction” is not synchronized. Who mirrors who? Who registers the control? The work seems to present a situation where the looping of a particular effect instills a feeling of constant uncertainty. The paradox here seems to be that to keep the participants in a state of continuous ambiguity, the exertion of control is necessary. The installation is literally a vehicle to record and mark presences. The overall impact is one that leads to doubts and interrogations about a process that undoubtedly confounds with the pretext of communication.